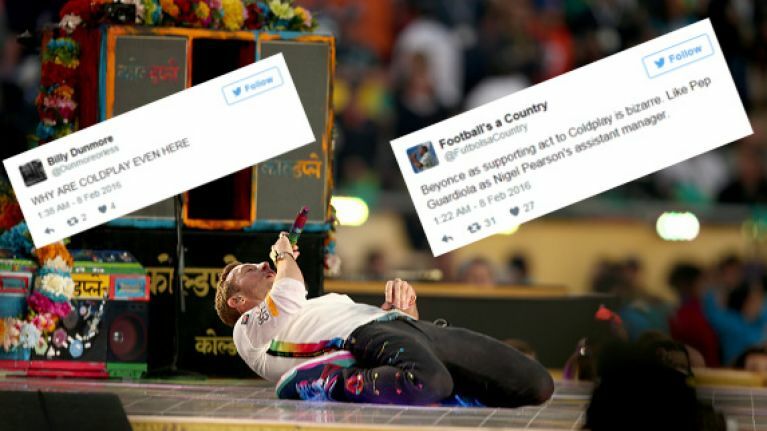 Coldplay are a band who very much divide opinion. On one hand, their countless stadium tours and sell-out shows demonstrate they have a huge following of loyal fans. On the other, plenty of people just don't like their music, their aura or their plain old Coldplayness. Naturally, when Chris Martin and co were booked to play the Super Bowl halftime show, it drew a mixed reaction. And on the night itself, that was only exacerbated, as for every moment of praise. There was at least one tweet expressing the opposite sentiment. Beyonce as supporting act to Coldplay is bizarre. Like Pep Guardiola as Nigel Pearson's assistant manager.